This book provides a comprehensive overview of the epidemiology, clinical features, radiology, classification, molecular genetics, diagnosis and treatment of gastrointestinal stromal tumors in both adults and children. Various chapters of the book summarize all the important research findings and provide an updated text for all those involved in the research and clinical management of this tumor. This book is written by experts in the field from all over the world who have considerable research, clinical interest and experience in the management of this tumor. 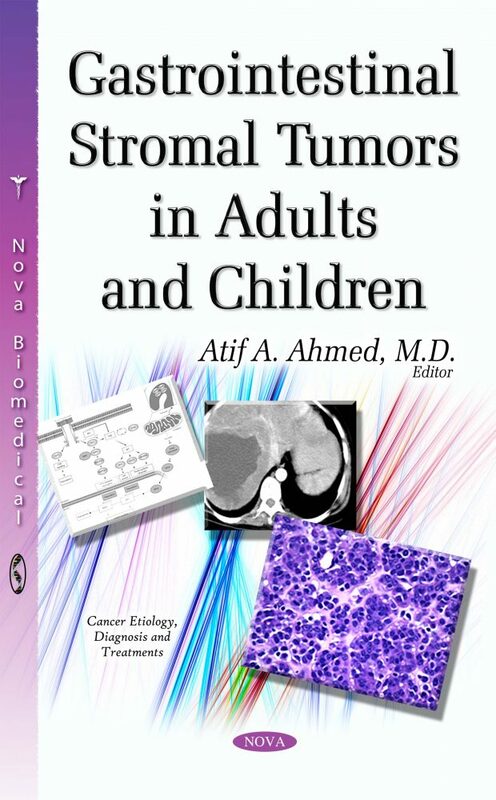 The book is a concise review of the relevant basic and clinical research on gastrointestinal stromal tumors, and provides a summary of their current classification, diagnosis and treatment strategies in both adults and children. It intends to provide a deep insight into the current knowledge on the subject and summarizes all the important relevant data. It contains numerous radiologic and pathologic images, research illustrations and data that is valuable in the overall understanding of all aspects of this important tumor. This book is intended for researchers, students, paramedical staff, patients and doctors involved in the management of patients with this tumor, including gastrointestinal physicians, pediatricians, oncologists, surgeons, radiologists and pathologists. By reading this book, patients gain insight into the management of their own tumors, students find a platform on which they can build their research projects, and nurses and doctors maintain an overall understanding of the subject.